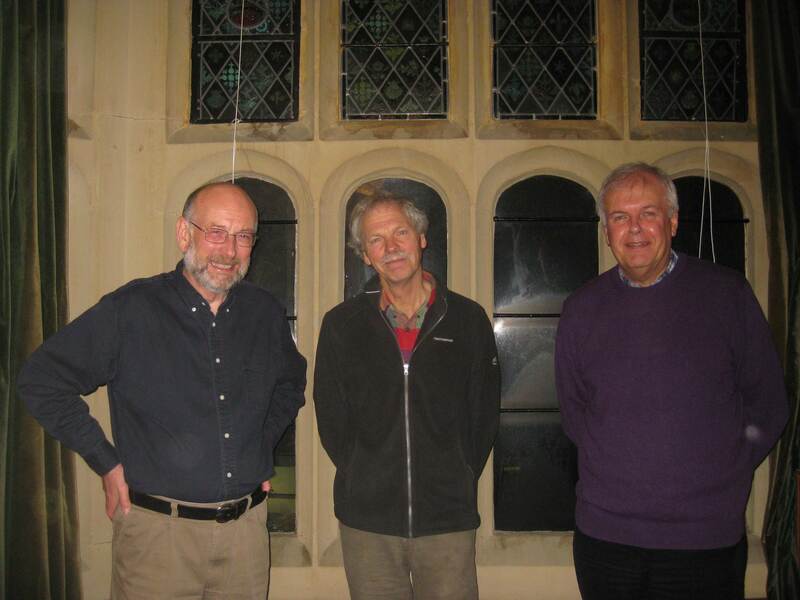 Our last Saturday event of the year was a real tour de force by Graham Bendell and Barry Brock who described aspects of Sherborne’s industrial heritage in a series of short illustrated talks which contained a positive wealth of information. Left to right: Barry Brock, George Tatham and Graham Bendell. ‘Industrial Archaeology Day’ (held at our Family History Centre in Sherborne on 22 November) was chaired by George Tatham who said in his introduction that the afternoon could only provide a ‘taster’ of the subjects to be discussed and that he hoped it would encourage us to pay closer attention to details of buildings and other objects as we walked around the town. Graham and Barry alternated their talks, with Graham covering ‘Waterwheels and Mills’, ‘Manhole covers’ and ‘Rope-making’ while Barry discussed ‘Milestones and Turnpike Gates’, ‘Post boxes’ and ‘Breweries’. 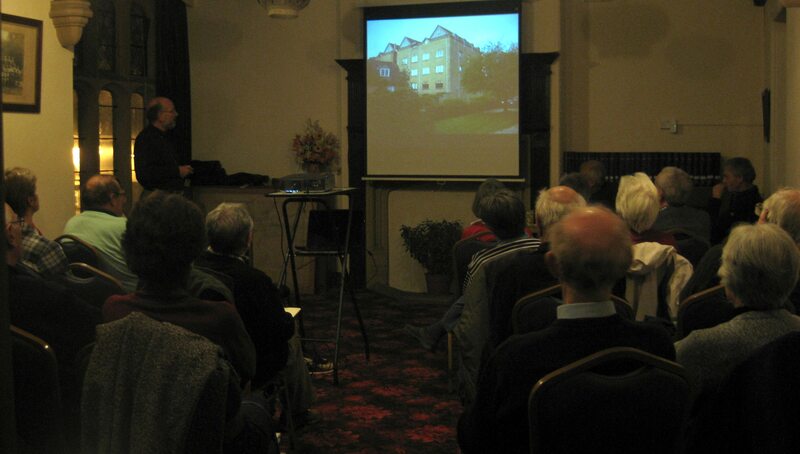 Barry describing one of Sherborne’s malthouses. Both speakers made much use of two important 19th century maps – the ‘Sherborne Terrier’ of 1834 and ‘Dymond’s Survey’ of 1852 – which have enabled them to trace watercourses and roads, and identify industrial buildings and private residences. Their talks were also illustrated with many wonderful archival images from the Sherborne Museum photographic collection which is currently being digitised. Visitors to the Museum can already see many of the images and others will be made accessible as soon as they have been scanned. Barry and Graham answering questions at the end of the day. Sherborne is best-known for its imposing medieval Abbey, its two castles and its many historic private and commercial buildings, so it was something of a surprise to learn of the many industries which had existed in the town during the 18th and 19th centuries. All the talks, based on years of painstaking research, contained such a wealth of detail that it would be impossible for me to do them justice with any kind of summaries and Barry and Graham have very kindly agreed to write posts for this blog highlighting some aspects of their work. Our meeting room was full for this last Sherborne event of the year and the interest shown by those attending was an indication of how successful our first venture into industrial archaeology was and I’m sure it will make all those who attended more aware of the traces of Sherborne’s industrial heritage that still survive. I know that my walk home yesterday took much longer than usual as I stopped to read manufacturers’ names on man-hole covers, identified the other malthouse on Long St, paused to admire the ceramic plaque on a Victorian post box and realised that a building I pass almost every day was once a toll-house on the road out of town. The fascinating talks given by Barry and Graham have certainly opened my eyes to Sherborne’s industrial heritage and I hope we will be able to persuade them to share more of their research with us in the future. This entry was posted in Uncategorized and tagged Barry Brock, brewery, Dorset, Dymond's Survey, Family History, George Tatham, Graham Bendell, Industrial Archaeology, Long St, malthouse, manhole cover, mile stone, mill, post box, SDFHS, Sherborne, Sherborne Museum, Sherborne Terrier. Bookmark the permalink. 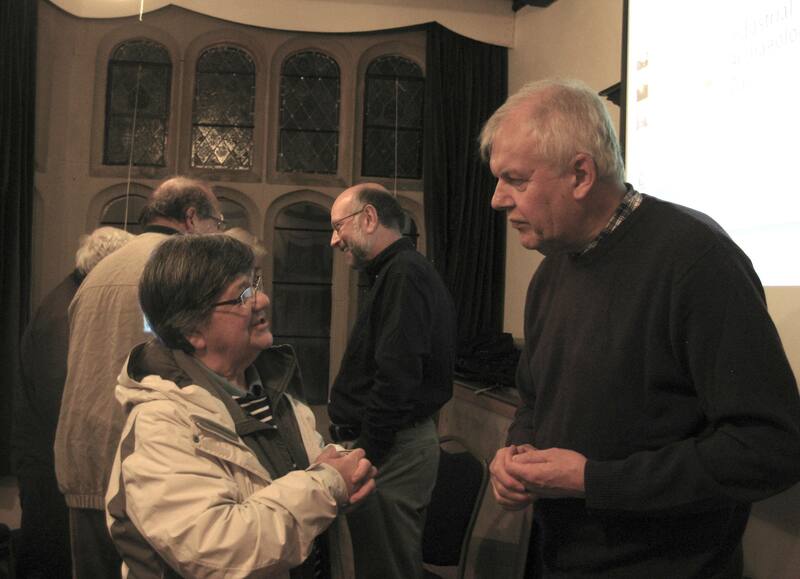 Lots of thanks, Patricia, for your great job of reporting the talks we cannot unfortunately attend. Hence, the poor oversea members feel much more involved in the life of the Society. You’re very welcome Arnauld. We do see the use of social media as a way of engaging with our overseas members so we’re very glad to hear that your appreciate it.